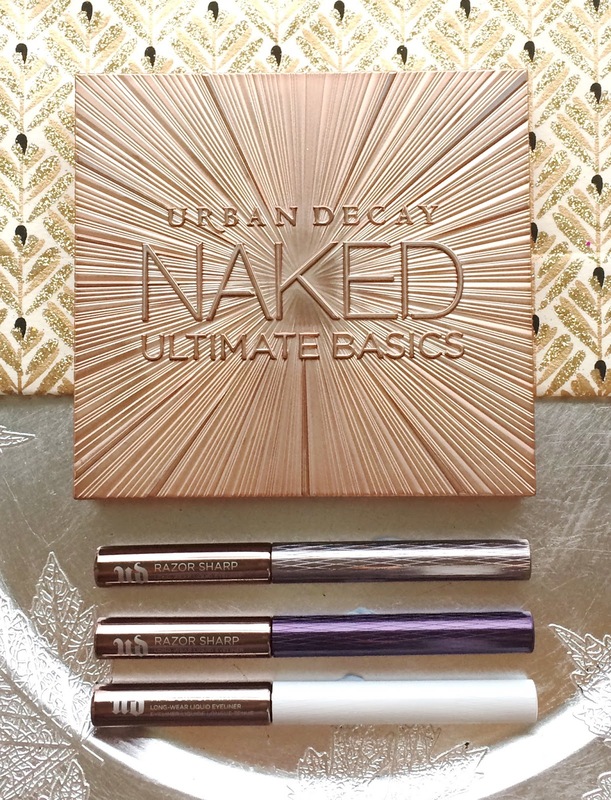 GIVEAWAY & REVIEW: Get Christmas Party ready with the Urban Decay Naked Ultimate Basics Palette & Razor Sharp Liquid Liner! Regular readers will know that I am an eyeshadow palette addict, so you can imagine my delight when the Urban Decay Naked Ultimate Basics Palette popped through my letter box, not only that but I also received 3 Urban Decay 'Razor Sharp Water-Resistant Longwear' liquid eyeliners in the shades Retrograde, Bump and Revolver. What's even better is that I also received a palette and 3 liquid liners to give away to one of you lovely readers! Thank you, Debenhams! Today, I want to share my thoughts on the palette and liners with you, how I think they will work perfectly for the Christmas party season and then I will tell you how you can win these goodies for yourself! 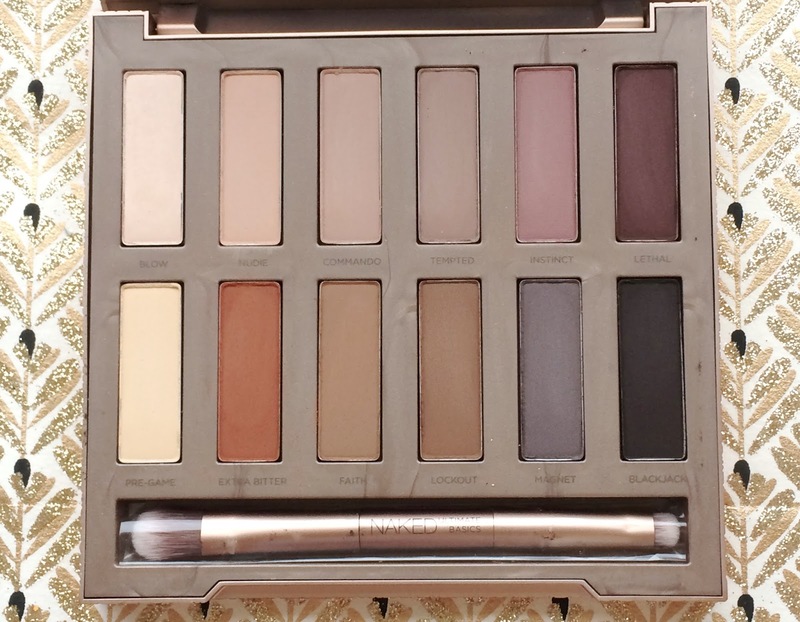 The Naked Ultimate Basics Palette is the latest release from Urban Decay and it contains 12 completely new and exclusive matte shadows (one has a faint shimmer, which makes it the perfect highlight), all housed in a stunning rose gold case. Inside the lid is a large mirror, which is always welcome and there are both cool and warm toned neutrals in this palette so there is something for everyone. I must admit that it has been a while since I used any of my Urban Decay palettes so I had forgotten just how amazing the texture of them is. Matte eyeshadows can be tricky to work with sometimes as they have a tendency to be a little stiff and chalky but I don't find that to be a problem with the shadows in this palette - most of them are actually very smooth and velvety. There are two that are less easy to work with (Nudie and Tempted), but apart from those, I am very happy with the pigmentation and blendability of all of the shadows. For me, this is the perfect everyday palette but I think it would be perfect for the Christmas party season because it is compact enough to have in your handbag and then you could smoke your eyes up for after work drinks. 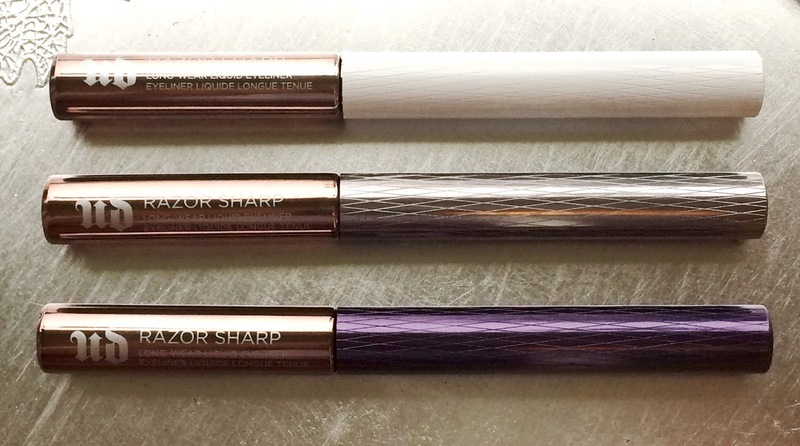 Debenhams also kindly sent me 3 Razor Sharp Water-Resistant Longwear Liquid Eyeliners and I think that these liners are the perfect companions to the Naked Ultimate Basics Palette for nights out over the festive season. 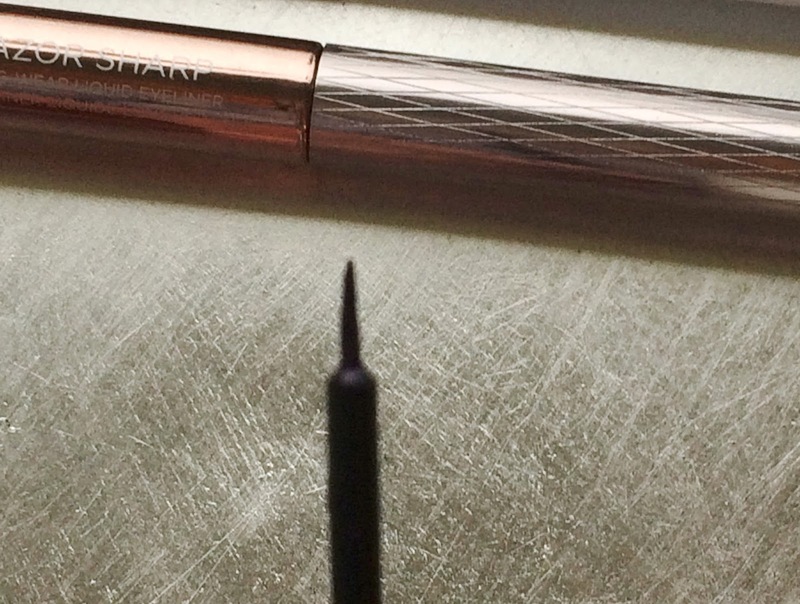 These liners have a very thin applicator, which allows for precise application - perfect if you only want a thin line, but they can also be built up if you are going for a full on cat flick. The formula is quite wet but it dries down quickly and once it is dry, it will.not.budge until you remove it. As someone with oily eyelids and watery eyes (great combination!! ), I am really happy with these liners. They don't smudge or break down at all on the eyes but unlike waterproof mascaras, they are easy to remove and you don't need to rub your eyes furiously to remove them - just one swipe of eye make-up remover or micellar water. They all have a glossy finish, which makes them perfect for party nights. 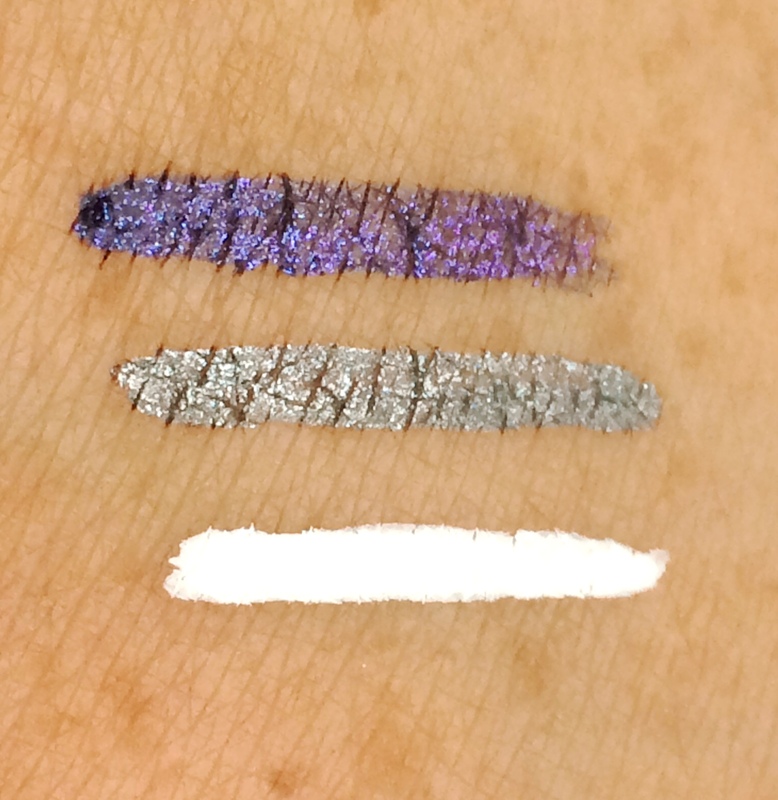 I was sent 3 shades: Retrograde, which is a deep purple with a pink and blue shimmer running through it. I find that I need to apply 2 layers of this and it is important to allow the first coat of this to dry before applying the second. Revolver is a metallic grey/teal colour and Bump is a true white colour. The outer packaging relates to the colour of the liner inside and the tube itself has a smooth metallic lid with the Urban Decay logo on it. I'm unsure that I will personally get much wear out of Bump but I will definitely wear Retrograde and Revolver when I don't want to go for a full on glitter/shimmer eye but want to add a little something to my matte eye look. If you want to buy any of these, you can do so from Debenhams (here) in the UK and (here) in Ireland. Also, don't forget to use your rewards card to earn points! If you would like to win one of these palettes and these 3 liners for yourself, then here's what you need to do! 1. You must follow Beautylymin on Bloglovin/Instagram/Twitter. 2. You must follow Debenhams on Instagram/Twitter. 3. You must tweet the giveaway message. 4. You must comment below with your Bloglovin/Instagram/Twitter usernames. 5. You can earn extra entries by leaving a relevant comment on any other blog post. Steps 1-4 are mandatory, if they are not completed, you entry will be void. Please don't follow and unfollow - I will be checking all entries when the giveaway ends and if you are not following, your entry will be deleted. This giveaway is open internationally and will end on November 30th at midnight. The winner will be chosen using random.org and will have 48 hours to reply to my mail. If they do not reply within 48 hours, a new winner will be chosen. I am not responsible for anything that might get lost in the post or for customs fees, however I will mark the parcel as a gift. If you are under 16, you will need your parent or guardian's permission to enter as you will have to disclose your address to me. a Rafflecopter giveaway cript> Thanks for reading!